Welcome back beautiful and amazing human beings today is Friday, September 1st, 2017. I usually take a break Fridays and Saturdays and do videos from Sunday through Thursday. However today there’s so much important information regarding your iPhone, scam charities mainstream organizations robbing people from Hurricane Harvey, and alternatives to the CIA Google Chrome browser. So I couldn’t stop, and I’m making this video now, and on top of that, we are also going to be talking about the latest information about the war in Syria. Donald Trump’s son-in-law Jared Kushner being in financial troubles with his 666 5th Avenue building and how the police think that they own your blood. Before I get into the news, I wanted to issue a personal apology and retraction to my audience. Yesterday, I released a critical video about the dangers of Google and what we needed to look out for. At the end of the video, I mentioned how Firefox was a better safer alternative to Google Chrome. This amazing community that we have here at WeAreChange let me know in the comments section that I was wrong. 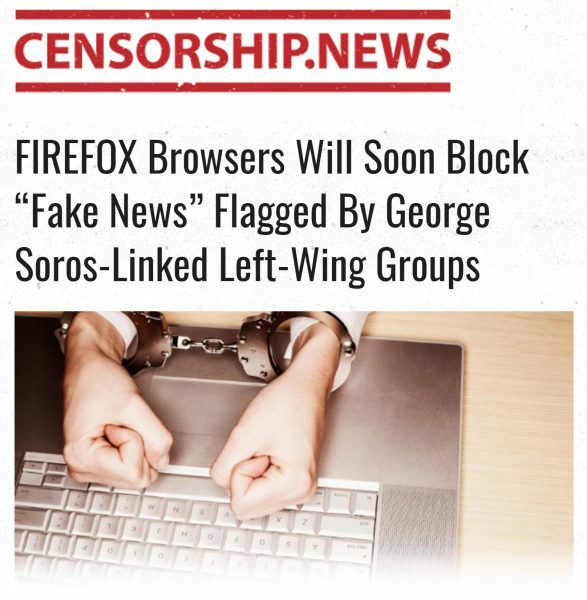 Just days ago Mozilla Firefox said that they were going to join the fight against fake news and they’re going to do that in cooperation with a George Soros linked left-wing group. We’ve seen with Google and Facebook that this is just an excuse to censor voices like us. So I apologize sincerely from my heart, I was totally wrong, and that’s why I’m issuing this retraction. Here is an article on better alternative Internet browsers. Browsers that of course have more privacy speed and freedom than Firefox and Google Chrome. It’s important for all of us to admit when we are wrong. I want to thank the community for keeping me honest and accountable to the real news you expect from me. I try to be as clairvoyant and as honest as I can on this YouTube channel, and a big part of that is listening to your criticism and your comments and also learning from you. 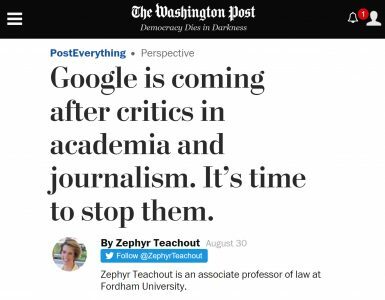 Having a good alternative against the CIA Google Monopoly Corporation is extremely important since they are coming from critics of academia and journalism. It’s important for all of us to work together to stop them. We could do that by going to other alternatives than YouTube like DTube where we have just set up a channel. It’s a highly decentralized cryptocurrency backed online video streaming service which I highly recommend you check out. You can watch our videos on that platform instead of this YouTube Google Alphabet CIA Monopoly corporatocracy that is destroying free speech. Moving forward in other horrible corporatocracy news, it was just announced that they’re going to be releasing the new iPhone 8 soon. 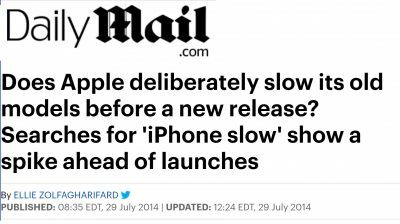 Surprise, surprise all your old iPhones are being deliberately slowed down right before this new release. Which has been confirmed in a study by students at Harvard University. A study that proves how Apple engages in planned obsolescence. 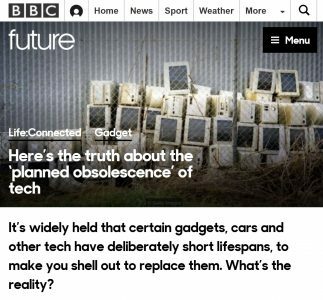 I was going to say if you don’t know what “planned obsolescence,” please “Google-it” but let’s stop using the term “Google.” So go to DuckDuckGo and research what planned obsolescence is because it’s an incredibly vicious business strategy that deliberately shortens the lifespan of your tech devices. It ruins the environment for more corporate profits and bad business practices. There is a reason why there is still a lightbulb in a fire station in Livermore, California that is still on and has been burning since 1901. That’s because it was manufactured before planned obsolescence back in the 1890s. This is an extremely cruel business practice that not only screws you the consumer but also the people who have to mine all these rare earth metals. The people who have to put them together, the slave factories, and of course cause harm not only to us but also the environment. In other horrible business practice news, we have the biggest business of all and that, of course, is charity scams. In the wake of the destruction that Hurricane Harvey caused Texas many people are doing the right thing and seeing their fellow citizens in need, and they’re helping them out. So there’s something sinister and evil happening that you need to know about. 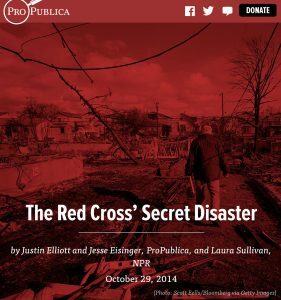 Most big charity organizations like the Red Cross are being promoted to you as helping the people in Texas are just outright scams. They have been exposed as scams in several investigations. 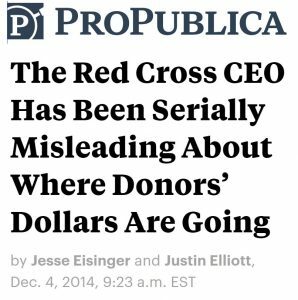 The Red Cross CEO has been lying to donors about where their money goes. 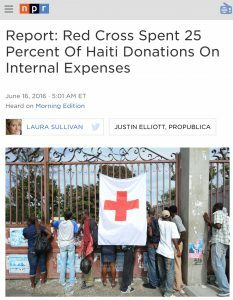 We learned about incidents in Haiti where the Red Cross has raised almost a half a billion dollars. To which 25% of which went to internal expenses and with that half a billion dollars built just six homes. Think before you donate. I have this very important chart that will also be linked in the description below telling you for example how the CEO of UNICEF collects 1.2 million dollars per year. He drives around in a Rolls Royce while less than 5% of your donations actually go to the cause that you’re donating to. 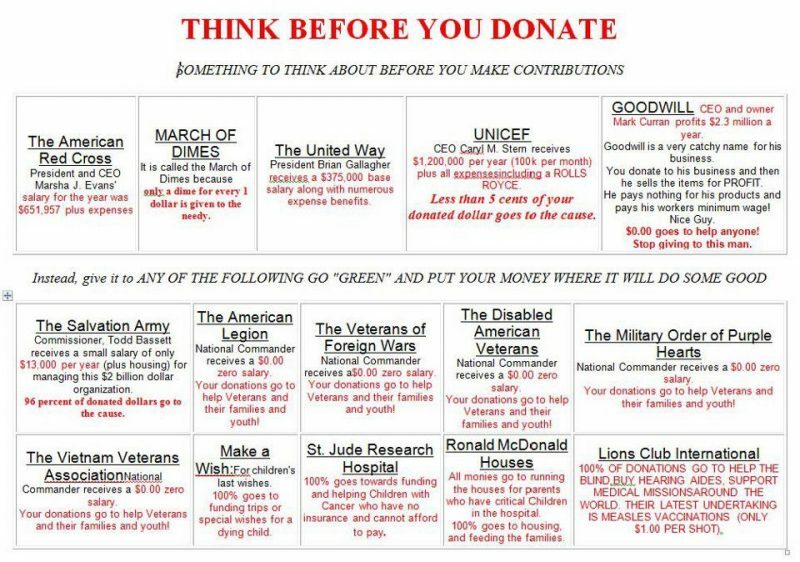 The chart also shows the good organizations like the American Legion where the National Commander receives a $0 salary, and your donations go to the cause that you’re donating towards. So if you can in this time of need for our citizens let’s get this infographic out there, share to your friends and family members. Let’s make these businesses are shut down without us supporting them. 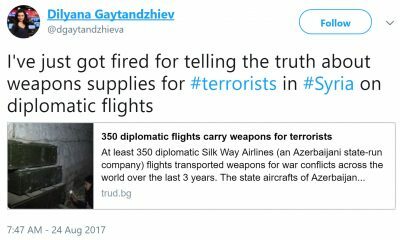 In other news, we are also discovering this week that a Bulgarian journalist uncovered how 350 diplomatic flights were used by the CIA to transport weapons for terrorists. This journalist blew the lid on a secret program that provided weapons to terrorists in Iraq and Syria as well as anti-Houthi militants in Yemen through secret documents that were leaked to her by an anonymous source. The documents of which are scanned in the reporter’s original article. You would think this journalist uncovering such a big story would be up to win the Pulitzer. You would think her story would make national headline news everywhere, but no. The opposite happens she was interrogated and fired for uncovering the truth about weapons supplies to terrorists inside of the Middle East. This is a critical story that needs to get out there to everyone especially since Donald Trump said that he would stop financing rebel groups inside of Syria. Still, this program continues covertly behind our backs. Of course, this was never a surprise to us since we’ve been reporting on the US government’s financial support of terrorists in the Middle East for years now. 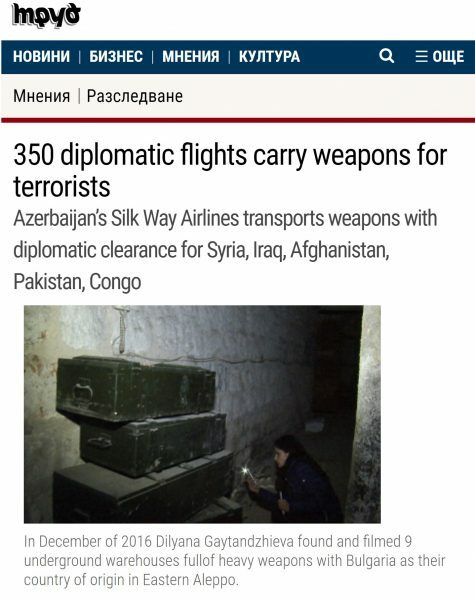 Showing you documents, evidence, photos, and videos of US Air drops delivering weapons to ISIS. 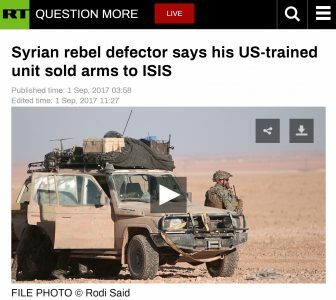 Directly into their hands but if that wasn’t enough evidence for you there is another article that just came out today showing how Syrian rebel defectors say the US trained their unit and sold arms to ISIS. The evidence of this is overwhelming but still is being widely denied by the mainstream. People like myself and others who have been telling you about this have been labeled as fake news and conspiracy theorists. In reality, the proof is right in front of us. We warned you earlier this week the situation and war in Syria are far from over. The war is at a very dangerous and critical point especially vulnerable to more potential false flags. Evidence of that has been very well-documented recently by Syrian Girl whose video. Which includes a video that came out from Syria that was made with the White Helmets on site. In it, they are teaching Syrian children how to fake a chemical weapons attack. This video is truly unbelievable, and you have to see it for yourself. The threat of another U.S. war is at an all-time high especially with Donald Trump being surrounded with more military contractors. People from Goldman Sachs and other globalist and military organizations have surrounded his administration. Just this week Rump nominated Mark Esper to be the new Army secretary. 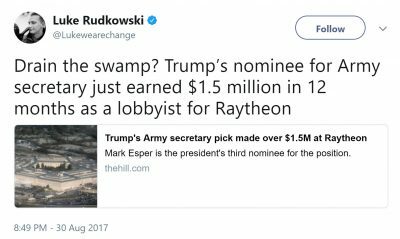 This is a man who earned 1.5 million dollars within just the last 12 months as an official lobbyist for Raytheon. What do you think a lobbyist one of the biggest military contractors will do as Army Secretary? Now in great detail, we went over the potential for another War in this video that will also be in the description below. In it, we focused on Jared Kushner and his latest trip to the Middle East. It’s a very important video that you should watch. 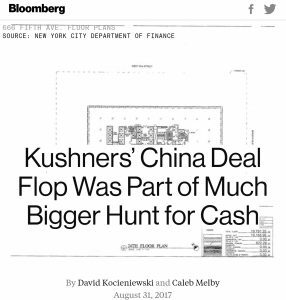 Now to add to that video we’re also learning about other financial troubles of Jared Kushner who is Donald Trump’s son-in-law and also his top advisor. We’re finding out that he owes hundreds of millions of dollars on a building at the address of 666 5th Avenue. It was part of his families real estate business, and he is having a very hard time paying off the mortgage. He has even reached out to Israel, South Korea, Saudi Arabia, Qatar and other financially wealthy individuals and has failed to secure an investment on the 1.2 billion dollar mortgage that he has until February 2019 to pay off. 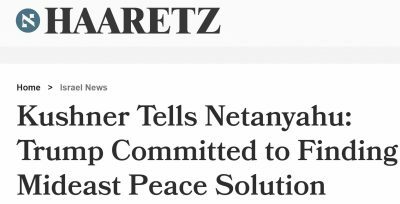 This is the man that Donald Trump is sending to the Middle East to negotiate supposed peace deals. The same man who gets on the phone with Lockheed Martin to negotiate better deals for a Saudi Arabian weapons deal. This signals another troubling aspect of Donald Trump’s Administration especially when you have someone in such economic troubles who is looking for a major loan from these big countries and their wealthy individuals to be doing the bidding and negotiating for the United States. Let me know if you think I’m wrong in the comments section below. In other horrible people news, we are getting horrific video coming out of a Utah university hospital where a nurse was chased and attacked by police officers. She was dragged by the police and assaulted because she refused to take a patient’s blood sample and give it to the police. This incident happened in late July, but we finally see the video from the body camera of the police officers. They demanded that this nurse take blood from an unconscious patient without a warrant or consent from the patient and without the patient being under arrest. After this incident, we are learning that the police officer has been suspended. There is an ongoing investigation. We’re going to be following the story very closely this is a shameful incident that sadly paints a bad light on all police officers. It should bring up to the question of why should we give the police more military tools and weapons on the streets in the United States. This should bring into question the encroaching police state powers that Donald Trump is giving to police forces all across this country. We’re already getting to a point where the police officers think they own your blood how much further can we go. So yeah that is the news for today. If you found it useful and insightful please share it with your friends and family members and don’t forget to check us out on steemit.com/@lukeewarechange which is sort of like a Facebook alternative to really important information that of course is enabled by the blockchain and works with cryptocurrencies. Love you guys. Thank you again so much. PreviousHow Blockchain-Based Social Media Companies are Rendering Centralized Behemoths Obsolete! 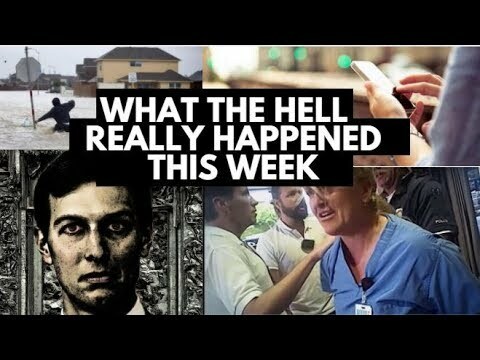 NextWTH Really Happened: Dtube, Trump, FDA Studies, China, U.S. Petrodollar, Cops with Arrest Quotas and More.